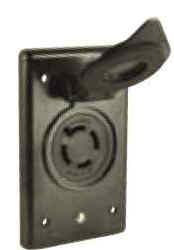 The 4-wire trolling/charging system eliminates the need for a charge/run switch. Install the receptacle on the boat, mount the black plug on the trolling motor and the red plug on the leads of the battery charger. Simply connect the black plug to troll or the red plug to charge.